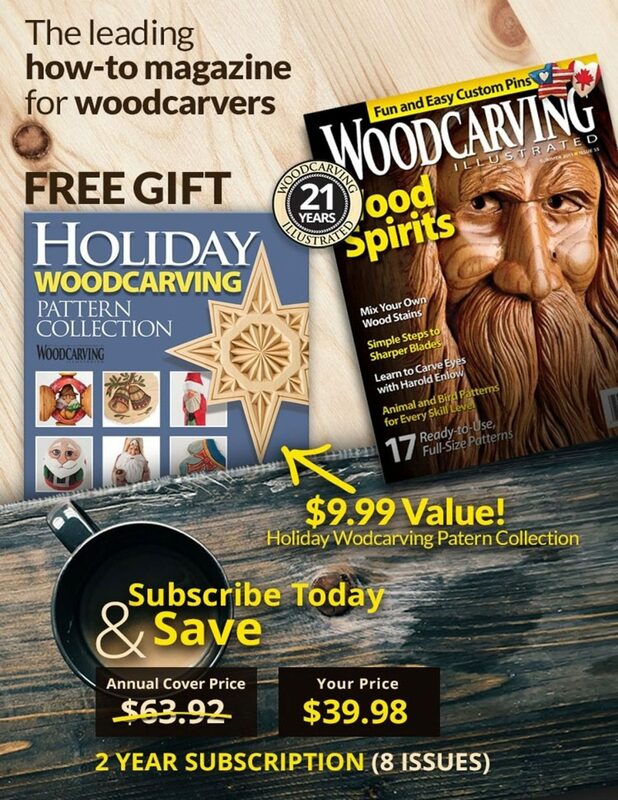 The staff of Woodcarving Illustrated magazine had a grand time last week at the retooled Artistry in Wood show sponsored by the Dayton (Ohio) Carvers Guild. 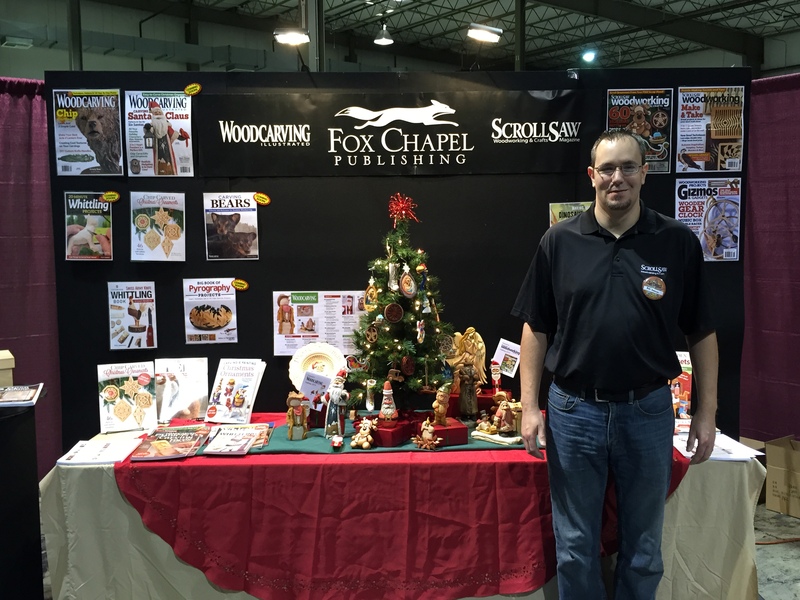 We saw fantastic woodworking projects, learned some new techniques, chatted with friends, and shared our books and magazines with lots of visitors. After many years at the same location, the club moved the show to a new place and time: the Roberts Centre in Wilmington, Ohio, on September 3 and 4. The new facility is about 35 miles from Dayton and located right off the highway. It is attractive and has all the usual amenities, including ample parking. It’s a long, thin hall, so visitors got their exercise walking from one end to the other. The club tried to keep exhibitors in their established locations, though, so it was easy to find folks despite the new configuration. Many of the club’s usual show activities were in full swing, including a silent auction, raffle, extensive competition, and educational demonstrations. Santa, who usually strolls the November show in full regalia, handed out candy canes while dressed in a Hawaiian print shirt, shorts, and a straw hat. Speaking of competition, it was as fierce as always at this top-tier show. Steve Baker took the Best of Show award with “The Other Sock,” his original rendition of Harry Potter’s Dobby the house elf. Terry Brasher won the Second Best of Show award for her “Maasai Warrior Mask,” and Harry Limings, Jr. won the Third Best of Show award for his tiny “Argentine Tango.” A number of other well-known carvers took Best of Category awards, including Jay Brasher, Gene Daugherty, Lynn Doughty, Dylan Goodson, Vic Hood, Adina Huckins, Joe Leonard, Charlie Smalligan, and Roger Strautman. 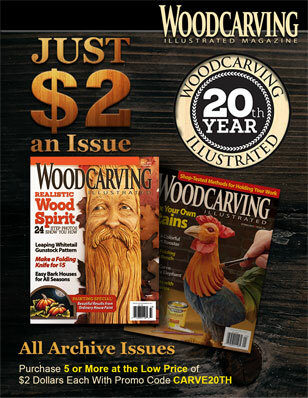 At the Woodcarving Illustrated booth, the magazine’s editor, Mindy Kinsey; technical editor, Bob Duncan; and sales team, Michele Sensenig and Ken Ebert, took turns greeting visitors and handing out samples of Woodcarving Illustrated, Scroll Saw Woodworking & Crafts, DO Magazine, and the Fox Books catalog. We displayed projects from recent and upcoming issues, as well as artwork from upcoming books. And as always, we hosted a number of short carving demonstrations at the booth. Among them, Bob Hershey talked about carving bark, Bruce Nicholas discussed chip carving, Dennis Thornton and Floyd Rhadigan demonstrated caricatures, and Jim Hiser described his method for building clay models. We should note that although Artistry in Wood is primarily a carving show, there are plenty of other types of woodworking on display. At least a dozen turners exhibit their bowls, vases, and ornaments; several scrollers share fretwork and intarsia; and furniture builders display their work. Barry Todd won the Best of Show award for woodworking, with Scott Hamilton taking second place and Richard Avram receiving third place. In sum, we’re pleased to report that Artistry in Wood ably weathered the challenges brought on by the change in venue and date. Although attendance for the show was down, we’re sure it will rebound as visitors and exhibitors alike adjust to the changes. Next year, look for the show to stay at the Roberts Centre. However, club members report that they are trying to move the date later in the fall to avoid the holiday weekend. Visit the club’s website for updates. UPDATE: We just heard from the Dayton Carvers Guild that the show will take place the second full weekend of October from now on. In 2017, the dates are October 14-15. See you there!